What is the Northern Light Zen Center? The Northern Light Zen Center exists to support Zen practice in our community. We schedule events and participate in activities that teach Zen Buddhism or meditation. All are welcome. The Northern Light Center is a member of the Kwan Um School of Zen (KUSZ), which was founded in 1972 by Zen Master Seung Sahn, a monk in the Korean Chogye Order and the first Korean Zen Master to live and teach in the west. The teachers and Zen masters at in our school have received authorization to teach from Zen Master Seung Sahn, the founding teacher of our school. Each teacher follows the teaching and ethical guidelines set forth by the Kwan Um School of Zen’s teachers’ group. Northern Light Zen Center offers Zen meditation as a spiritual practice. We recognize that Zen meditation may be very helpful to people in crisis or recovery, but want to stress that Zen meditation is not psychotherapy and does not replace a drug regimen. In certain circumstances we may recommend that an individual seek psychological counseling. What about Northern Light Zen Center members and community? Members of our community support themselves and each other, coming together through Zen practice. Since we operate completely on a volunteer basis, we encourage members of our community who participate regularly to contribute to and serve the sangha as time, ability, and resources allow. The Northern Light Zen Center is a non-profit corporation organized under the laws of the State of Maine. While we charge fees at retreats to cover the cost of food, camp rental, and teacher fees and transportation, there is never a fee for public dharma talks or regular group practice. We strive to make Zen teaching and practice available to everyone. What is Northern Light Zen Center’s origin? Northern Light Center was started in 1992 by several students of KUSZ under the guidance of the Kwan Um School of Zen. Our first guiding teacher, Chong Hae Su Nim, was ordained a monk in 1996 and received inka from Zen Master Seung Sahn on April 7, 2001. He provided the initial direction and encouragement for which we are very grateful. 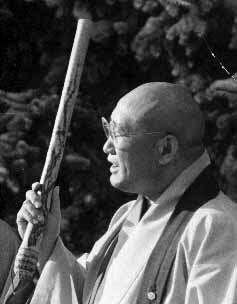 The teaching and practice forms of the KUSZ are derived and adapted from the Korean Chogye Order by Zen Master Seung Sahn. These forms share elements with Zen schools in the Japanese tradition: with the Rinzai school the use of koans in Zen training, with the Soto school an emphasis on “just sitting” meditation. Our school stresses direction and function, or the appropriate application of understanding gained through koan practice and other training.